No one would ever claim that Campsea Ashe has ever been a hot bed of sporting achievement - no Olympic gold medalists, no world champions have yet been discovered. However, sport has played an important part in the history of the village. 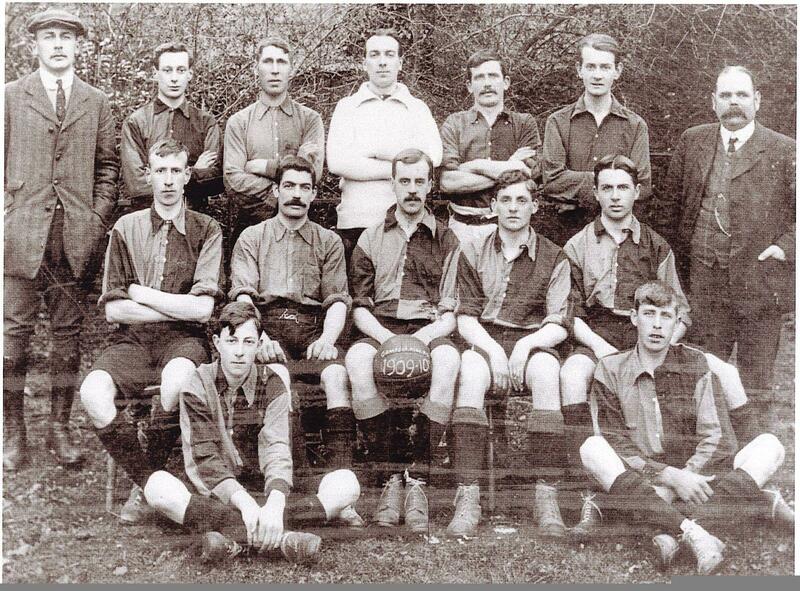 The photograph of Campsea Ashe Football Team 1909 - 10 was published in the Suffolk Mercury in 1982. John Andrews, son and grandson of some of the players, spotted the photo and was able to supply details about the players. We are grateful to Daphne Gant, Blaxhall Archive Group, for supplying us with a copy of the photo and the article in the Suffolk Mercury. For more details of the individuals click here (pdf file opens in new window). Alfred Andrews, grandfather of John who founded A & D Andrews, fruiterer of Woodbridge. Raymond W C Keer, brother of Kenneth. Can you tell us any more about any of the team? If so send us a message below.